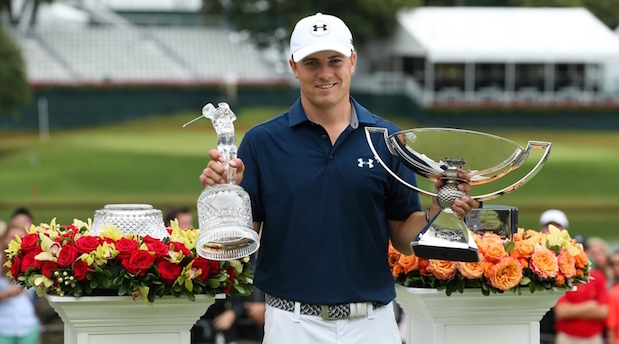 Jordan Spieth Captures $10 Million FedEx Bonus. Jordan Spieth now has 12,030,465 reasons to smile, setting a new PGA Tour record for the most prize money in a single season. It didn’t go all Spieth’s way this week with a determine Henrik Stenson playing some powerful golf on the East Lake course, a lay-out he clearly loves. In the end a 1-under par 69 from Spieth was enough to give him a 4 shot buffer from the chasing pack which included Stenson, lee and Justin Rose to claim the Tour Championship, FedEx Cup and most importantly The World No.1 again. Watch Jordan’s putt to claim the title. Jordan drinks from Zach’s Cup. So how do you make a great day at golf even better?